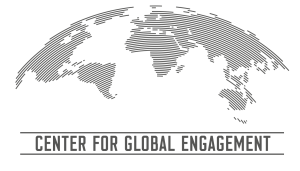 Creating an international culture at the University of Indianapolis is one of the key goals for the Center for Global Engagement (CGE), which opened in January 2019. The Center brings together all aspects of the University’s international experiences under one roof. Housed in Esch Hall (rooms 231 and 233), CGE is home to UIndy’s International Admissions Office, The Office of Study Abroad, International Partnerships and the Office of International Student and Scholar Services. Leading the new CGE is Jodie Ferise, Associate Provost for International Engagement and Chief International Officer. “The Center for Global Engagement is designed to take advantage of the synergies between the University’s international activities to create immersive cultural experiences both here and abroad,” Ferise said. With international cultural exchange as a key goal toward creating academic opportunities for students and faculty, Ferise says the CGE is focusing on five main initiatives centered on inbound students, outbound students, UIndy-led experiences, faculty exchanges, and global research collaborations. The CGE’s location on the second floor of Esch Hall centralizes those services. For the inbound student initiative, the CGE is coordinating with the Office of Student Affairs to streamline the experience of international students. Steven Freck, Assistant Director of Student Activities for Orientation, said the new center presents the opportunity for Student Affairs to collaborate across departments to better serve this group. “Students will have one central location where they will be able to address a variety of issues instead of having to visit multiple offices on campus to get a single question answered,” said Freck. Plans are in the works to increase the participation of international students in orientation. “The goal of our orientation programming is to make all students feel at home and educate them about the multiple ways UIndy works to support them. By working alongside the Center for Global Engagement, we will be able to serve international students and meet their specific need,” Freck added. 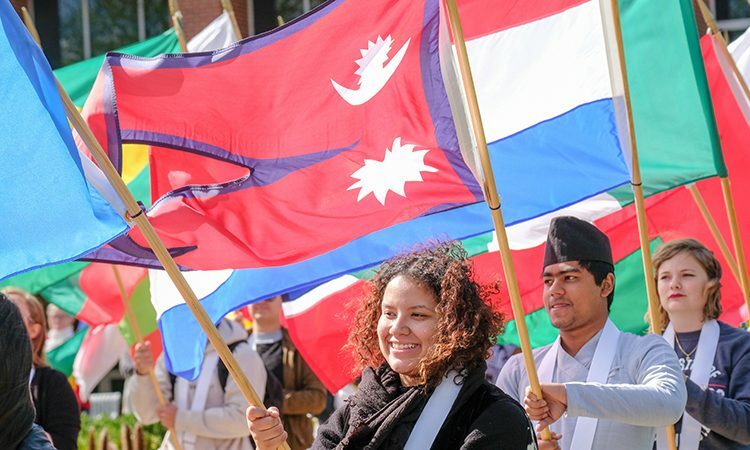 The goal is to build and maintain international inclusivity throughout students’ time with UIndy, whether it’s orientation, commencement or alumni engagement. For example, this May, the 2019 Senior Week will include an inaugural international student graduation brunch in the Health Pavilion. The strategy of ensuring that all students feel like they’re part of the UIndy family is crucial to growing international partnerships. With nearly 60 students planning to attend UIndy in fall 2019 from two Chinese partner institutions, Zhejiang Yuexiu University (ZYU) and Ningbo Institute of Technology (NIT), the Center for Global Engagement is continuing to build on those long-standing relationships with partner institutions. “We’re really excited to welcome this large group of students from China. The program speaks to UIndy’s commitment to forging relationships with global partners,” Ferise said. In addition to building awareness through initiatives like International Education Month, which is observed in October and includes events such as the Celebration of the Flags, Ferise said future activities could include international students leading workshops about culture and language. Other initiatives include collaborating with the School of Business to implement recruitment strategies overseas, and consolidating travel forms to more clearly define expectations of students participating in study abroad programs. Another of CGE’s goals is to raise exponentially the profile of study abroad programs with more opportunities built into the curriculum. 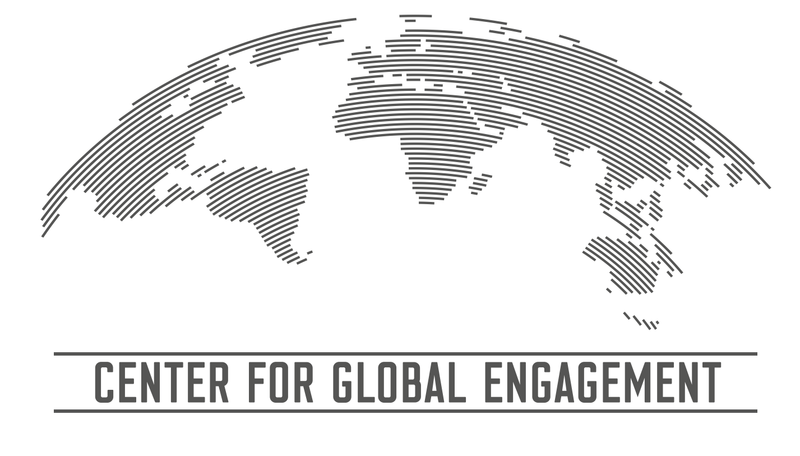 Learn more about the Center for Global Engagement.